Luke 2:1-7 – 1 And it came to pass in those days that a decree went out from Caesar Augustus that all the world should be registered. 2 This census first took place while Quirinius was governing Syria. 3 So all went to be registered, everyone to his own city. This year. This week we are starting a new series based on Star Wars and what better place to start than the movie that started it all, Star Wars Episode IV: A New Hope. In this movie we are introduced to Luke Skywalker, a young man from the desert planet of Tatooine. He runs into two droids that had a special message for “Old Ben” Kenobi, a hermit. It is then revealed that Ben is really Obi-Wan Kenobi, a Jedi Master. The message is from Princess Leia Organa of Alderaan. She tells them of the plans of the Death Star and she knew that if anyone and save the day it would be the Jedi Master. To leave Tatooine they hired the help of the smuggler Han Solo and his faithful ally Chewbacca. The group together had to help guide Luke to his destiny with training in the force and trusting in it. He had to follow his destiny to save the universe. To challenge Darth Vader’s contraption of death and stop the space station in it’s tracks. It’s party time! Happy New Year everyone. I want to apologize to you all that I took such a long break from this site. As I pray for you please pray for me as well. This year was a learning experience for me and hopefully for you too as a reader. I wanted to bring to you all a different kinds of homilies. Something video game and anime inspired. Something you would think about when you pick up the controller or check out your favorite manga. There will be more in the future. The pace I was going before wore me out. I will work out one a week and if God is willing I will return to two. I am open to suggestion from anyone. I am open to pray with and for anyone. Let’s make this a great year and let’s start by putting God first. For anyone who follows the story of Attack on Titans, or Shingeki no Kyojin, you probably thought that the last entry in the Attacking Titans series would have ended with “Mikasa Ackerman”. 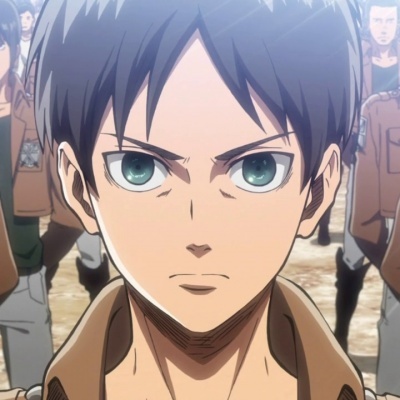 If you haven’t been following we started with “Eren Yeager” and learned how we must boldly declare that we will defeat the titans in our lives as he declared he would defeat the literal titans in his. Second, we followed up with “Armin Arlert”, where we learned that we must gather knowledge and expand our vision if we are ever going to find a strategy to defeat the titans in our lives. Third, was the aforementioned “Mikasa Ackerman” where we learned we need to exercise our faith and knowledge and execute because with all the faith we have we must take action. One of the scriptures we covered was James 2:18-24, referred to the scripture we will be studying today which also reminded me of one other character form Attack on Titan. 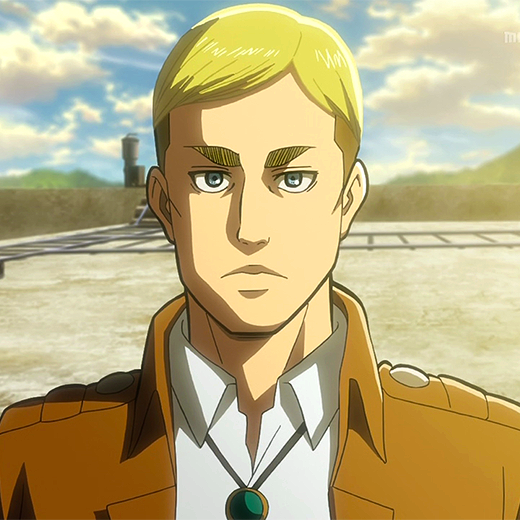 Commander Erwin Smith, is the head of the Survey Corps. I might have lightly touched on the Survey Corps but I will go into detail of what they do now. As the city is surrounded by gigantic walls to keep the hungry titans away. The Survey Corps is the team of soldiers that venture outside the safety of the wall. To defeat titans on their turf and to do research on how to better fight the enemy as well as try to push them back further so the people of the cities and towns have more space to grow. To experience more freedom. Survey Corps are considered a death sentence for many. There’s a high mortality rate in that team. In the premiere episode when the team came back all they could give the mother of one of the soldiers was an arm. In part one, we read about Eren Yeager, and how we need to declare to the titans in our lives that we will defeat them. In part two, we read about Armin Arlert and how he increased his knowledge and widened his vision to obtain success over the titans and how we need to do the same. 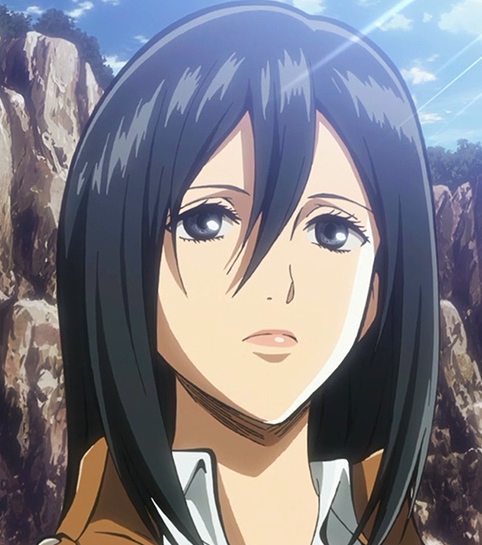 We are now in part three, and we will discuss Mikasa Ackerman. Mikasa is a naturally talented fighter when it comes to fighting titans but not all of have a natural ability to attack the titans in our lives but there is something special about her that had to be jolted out of her by Eren. She had to push her self to fight. In our first part of Attacking Titans series, “Eren Yeager”, we learned that when we are up against the titans in our lives we must first declare and believe what we will accomplish. Speak to our demons and when we pray believe that God will carry us through. But that is the first part. The second part is to do what the character above does. 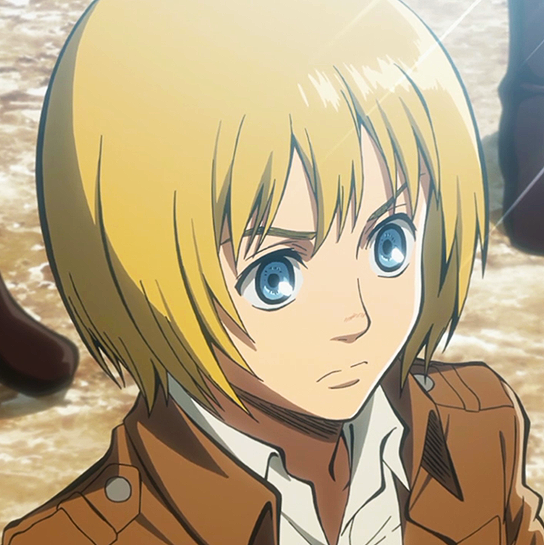 Armin Arlert, out of the trio is the strategist and planner. Through all the reading of books with his grandfather he had a dream of leaving the city perimeter to see the ocean and hopefully. As you read earlier, in Number One Dime, I was a huge fan of DuckTales when I was a kid. I still remember when Huey, Dewey, and Louie were part of the Junior Woodchucks. It was the DuckTales version of the Boy Scouts. The triplets with Doofus Drake did the usual boy scout things of help old ladies across the street, camping, and fighting a little crime whenever possible. 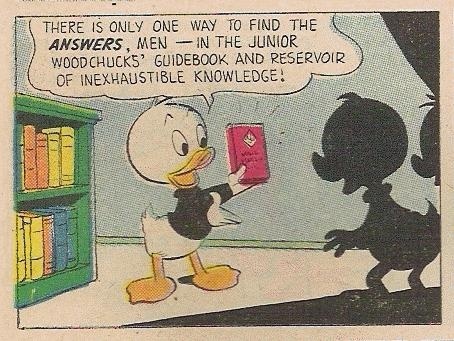 However no matter what trouble they could get into if they were ever in trouble the lads could always rip open the Junior Woodchucks’ Guidebook and whatever they needed to know to help them in life was in there. I always found it amazing how a single book had the answers that any regular scout would need like, how to start a fire and how to look for water in the wilderness. Yet, it also had information about how to be a better person, mythical locations and beings. One of the skills that a Junior Woodchuck has to be able to do is draw information from the book at a moment’s notice and it struck me. We all have access to a Junior Woodchucks’ Guidebook and we all can be Junior Woodchucks, girls included.